In nearly every Old Testament book of the pre- and post-exile prophets of God there were pronouncements made by God. The word of the LORD was issued which involved warnings of coming judgment if His people did not repent of their sin and spiritual harlotry in going after other gods. Yet just as frequently, often towards the very end of these OT books, there is the lingering, persistent promise of Israel’s future glory and blessing as bestowed by YHWH in the restoration of the kingdom where the Messiah Himself would preside over as the King (Meschiach-nagid). God has proven Himself faithful to Israel throughout all the biblical annals of her history; likewise He shall continue to be faithful to Israel for the sake of Abraham, and fulfill His covenant with them. Paul the apostle continues in his treatment of Israel as that viable entity and nation by which the LORD demonstrates His grace and faithfulness; a testimony to the whole world that reveals the heart of God with all of His tender mercies and love for His people. In the previous chapters we saw how God’s sovereignty and election of Israel as His own “peculiar people” (EXOD 19:5) was brought about (ROM 9:20-23); as well as this, we also studied the human element that involves our responsibility in responding to the call of God Who has foreknown and foreordained those that come to Him (ROM 10:8-13). That Israel has not been forever set aside is the theme of this chapter. (2) The doctrine of the remnant proves it (ROM 11:2-6). (3) The present national unbelief was foreseen (ROM 11:7-10). (4) Israel's unbelief is the Gentile's opportunity (ROM 11:11-25). (5) Israel is judicially broken off from the good olive tree, Christ (ROM 11:17-22). (6) They are to be grafted in again (ROM 11:23-24). 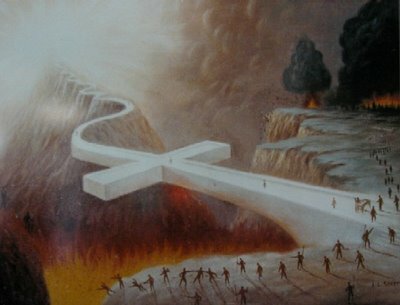 (7) The promised Deliverer will come out of Zion and the nation will be saved (ROM 11:25-29). That the Christian now inherits the distinctive Jewish promises is not taught in Scripture. The Christian is of the heavenly seed of Abraham; GEN 15:5-6; GAL 3:29 and partakes of the spiritual blessings of the Abrahamic Covenant. (See Scofield GEN 15:18) but Israel as a nation always has it own place, and is yet to have its greatest exaltation as the earthly people of God. See "Israel" GEN 12:2; ROM 11:26 "Kingdom"; GEN 1:26-28; ZECH 12:8. In each case, there is presumably a superior and an inferior position held in contrast: the Jew perceived himself as superior to the Gentile, the free obviously as superior to the slave, the male to the female (particularly in these ancient cultures), and yet in Christ, all are one, that is, there is no one held in a superior position to any others. All are on ‘an equal footing’ as it were, in their relationship to and with Christ Jesus. Note that Gentiles are considered the seed of Abraham if they belong to Christ. Likewise the Jews who are in Christ are seed of “Abraham, the father of the faithful” (vs. 9). 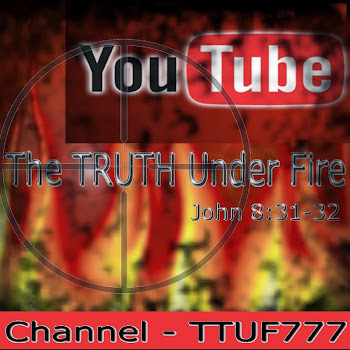 God in His foreknowledge knew and understood all the times Israel would fall into apostasy and turn from the living God to serve idols; a review of the books of 1st and 2nd Kings as well as 1st and 2nd CHRONICLES plainly shows that the houses of Israel and Judah had kings that were for the most part apostate, with a few shining exceptions such as Josiah, Jehoshaphat and Hezekiah. For an interactive chart that documents all of the kings of Israel and Judah, both the good and the bad, go here. Even so, here and later on during the times of the latter prophets, though Israel endured scathing rebukes and chastening judgments from the LORD – He never forsook His people (but for a brief parenthetical moment during the times and ministry of HOS 1:9-11) and promised to make good His Word as He declared both to Abraham and to King David. Having such foreknowledge of Israel’s abject failures glorifies the faithfulness of God all the more. Though we may believe not, yet He abides faithful as it states in 2 TIM 2:12-14. He would certainly be within His right to abandon these people (and all of us really) because of His foreknowledge of our unfaithfulness and wandering nature, but He doesn’t! He remains true to His Word and to us! By the enabling and beautiful grace of God, there were those Hebrews (seven thousand in number!) that did not fall into apostasy, nor did Elijah have any knowledge of their existence prior to God’s declaration of them. We ought to take this exhortation to heart in our day, this day of apostasy in accord with what the Bible declares about what will happen prior to the return of the LORD Jesus Christ. As we witness one ministry after another, one pastor following more of the same, even people we know personally whom we thought were steadfast and solid in the Word and walk with the LORD – who have all gone astray and been seduced by this pernicious period of perdition. We may be tempted into thinking that we are all alone, that we have no stalwart allies, and grow despondent over the increasing darkness. I know that I certainly have in these recent years; have you? Yet God by His election of grace shall preserve a remnant of believers, and more than this – even in the midst of such terrible darkness and deception, His work of the Gospel perseveres and accomplishes great exploits in the glorious salvation of souls: some of which have been high ranking members or even leaders of such deception. A testament of the sovereignty and power of the Living God! Paul declares that in his day, there is a remnant of believing and faithful Jews – but where were they? They could be found as members of the church! “Remnant, Summary: In the history of Israel, a "remnant" may be discerned, a spiritual Israel within the national Israel. In Elijah's time 7,000 had not bowed the knee to Baal 1 KINGS 19:18. In Isaiah's time it was the "very small remnant" for whose sake God still forbore to destroy the nation (ISAIAH 1:9). During the captivities the remnant appears in Jews like Ezekiel, Daniel, Shadrach, Meshach, and Abednego, Esther, and Mordecai. At the end of the 70 years of Babylonian captivity it was the remnant which returned under Ezra and Nehemiah. At the advent of our Lord, John the Baptist, Simeon, Anna, and "them that looked for redemption in Jerusalem" (LUKE 2:38) were the remnant. Just as there had been a remnant in the days of Paul, there had been in the Old Testament period as recorded in Scripture: ISAIAH 1:9; 4:3; 11:16; 37:4; JER 6:9; 23:3; 31:7; EZEK 14:22; MICAH 2:12; and ZEPH 2:9 and elsewhere. It should be noted that the term “remnant” doesn’t necessarily mean a holy remnant. There are those occasions when a ‘remnant’ in the Scriptures refers to those remaining who are yet left to be judged. A careful examination of this word in the context of Scripture clearly reveals what sort of remnant is being addressed. Here, Paul speaks of that remnant according to the election of grace. It must be stressed that no remnant that is considered holy, is deemed by God as such because of their own merit, worthiness or uprightness. There exists a remnant only because of the foundational work of God’s grace, freely received by those elect, according to the foreknowledge of God. The apostle elaborates on the nature of this grace, that it is apart from any works we could do, and by definition grace is something freely given at the expense of the One Who offers it, not at the one receiving it. To even suggest that the recipient (us sinners) can provide “works” worthy of being included in this remnant by the LORD God is blasphemous in every meaning of the word. Any works done to attempt to provide for and prove our right standing with God suggests that our efforts and righteousness is comparable in quality and supplementary to the work of the LORD Jesus Christ on the Cross – but what can sinners, born into sin do, to bring equitable works and ministration towards their own salvation in the Light of the finished work of the SINLESS LAMB OF GOD Who (ALONE!) takes away the sin of the world (JOHN 1:29)? Unfortunately today, much of the church is emphasizing salvation by works (a supposition long held by Roman Catholic dogma) and such drives the motivation of Emergent-types to feed the poor, clean up the environment, seek social justice, educate the untaught, etc. The efficacy of the grace of God in salvation, the forgiveness of sin, and the regeneration of the Holy Spirit Who takes up residency in the believer at that point of their expressing faith in Jesus Christ as LORD and Savior is what God “works in” and the result of this, is the saint’s willing and yielded nature in the Holy Spirit’s work of sanctification. In conforming the saint more and more into the image of the LORD – this is personal holiness that influences perception (discernment), conviction, conduct and actions as they relate to the ministry and truth of the WORD of God - and the subsequent “good works” which the LORD ordains and operates in, through our lives (EPH 2:10) – not any social or political gospel, but that which pertains to the Kingdom of God and the KING Who Himself will inaugurate such at His Second Coming. The Memorial Day '12 - Men's Conference on "Wisdom and Discernment"
This nation, which was to be a “peculiar people” and “an holy nation” (DEUT 14:2) has for her long, long history sought for their Messiah (and still does to some and increasing degree). How utterly and tragically ironic that the very One that all of their hopes, dreams, aspirations and reverent devotion hung upon, was Himself hung on a cross, rejected by Israel, and forgotten by the vast majority of them: blinded and ignorant of the truth, they had missed “the time of their visitation” (LUKE 19:43-45)! Interesting how our LORD spoke those words in just the way that He did: that they wouldn’t “see” Him . . .that is, recognize Him for Who He is . . . “till” – this spiritual slumber and “blinded” condition is not permanent according to both the Messiah of Israel and Paul the apostle; there is yet coming a day when such blindness will be removed and then Israel shall in fact understand Who their Messiah is, and receive Him! The Messiah of Israel, was pierced through by that Roman spear while hanging on the cross for the sins of His people (see ISAIAH 53; also PSALM 22); He received such wounds that would later be inquired of by His grieving brethren who will finally understand their nearly fatal (but by the grace of God!) error! It might seem like cruelty to us, that the LORD would allow such blindness to prevent some from seeing the truth, and yet in all actuality it is a kindness. 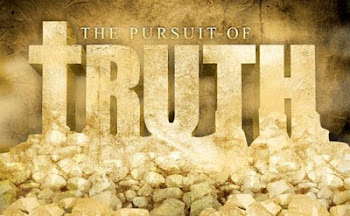 The LORD Himself stated that to whom “much is given is much required” (LUKE 12:48); if truth is given to those who would reject such utterly, they would be judged based upon that rejection of truth granted. Since the LORD knows already who would reject His Truth, and who would receive it, in order to diminish the extremes of judgment upon some, He hides the truth from them. Just as we Gentiles (goyim) have been incredibly, insurmountably blessed in this opulent opportunity in getting to know Jesus, the Messiah of Israel because of the “fall” of this nation, what sort of blessing can we expect when once the Messiah returns to this wayward world and is received by that same nation that once rejected Him? Such blessings as described in what’s been referred to as the Millennium (“a thousand years” is mentioned 6 times in this passage alone: REV 20:2-7) will be unparalleled! This is not to say that Israel doesn’t make mistakes in national and political protocols and decisions, or even that they are a godly nation – most Israelis today are either atheist, agnostic or belonging to other religions … even New Age mysticism (only a smaller minority are orthodox Jews and even a smaller portion of them are Messianic, that is, Jews that have received Jesus as their LORD and SAVIOR and are now a part of the church). In my opinion they have done a remarkable job in being careful and precise in their defensive retaliations against Islamic terrorist attacks and threats. Yet it’s because of the heart of God, His love for them and His grace that we His children reflect this same love and compassion for them, and yearn to bless them, pray for them, and look with hopeful, joyful expectation when the Messiah comes to them and blesses them with Himself! I cannot understand how any Christian, supposedly indwelt by the Spirit of God could be anti-Israel (much less, pro-Palestinian). How can we not love what God loves? God’s love for the souls of Israel is the same as His love for any other soul that needs redemption; neither is superior to the other, and if any receives the love and blessings of God it’s only by His grace alone! Dave Hunt and Tom McMahon of The BEREAN CALL have had a discussion about this. ARE THE JEWS BETTER THAN US BECAUSE THEY'RE GOD'S CHOSEN? In regards to vs. 15 of our text, just as blessing is awaiting Israel who will one day receive their Messiah, so likewise blessing is awaiting the Gentile nations as they receive in turn – the Messiah of Israel, and also Israel herself; for the LORD will bless those that bless Israel (GEN 12:3)! Life from the dead indeed, in all of the parameters of our reality – the raising to eternal life, spiritually as we are redeemed, justified and born again in Christ Jesus, the raising to life of our minds as we are sanctified, the raising to life from the dead of our bodies on that day when our LORD returns for His bride, and even as He returns to this world to inaugurate His reign, the raising to life of this planet as the desert will blossom as a rose (ISAIAH 35:1-3), and longevity of human life is increased (ISAIAH 65:19-21), and the animal kingdom will be at rest – no longer divided between predators and prey (ISAIAH 11:6; 65:25). The first fruit and the root referred to in vs. 16 is I believe, Abraham, the father of the faithful – and just as the LORD counted righteousness to him as he believed God, so the LORD by His grace determined to bless his progeny and counted all that expressed “like faith” as their father Abraham – the entire lump of the believing remnant of Israel, the branches of all the tribes that believed and will believe the Truth of God’s Word – these are accounted as holy. Not only these of course, but also the believing Gentiles are accounted as children of Abraham in a living, spiritual faith – thus the descendants of Abraham being as the sand of the shore (Israel and her earthly kingdom) and the stars of heaven (the church and her heavenly kingdom); see GEN 22:16-18. For those who espouse Replacement Theology (again, the belief that the promises and, or covenants originally granted to Israel were transferred to the church, because Israel rejected her Messiah), this is yet one more text that plainly shows the falseness of this doctrine. There is no such thing as God casting away the entire tree of Israel, only those branches – the unbelieving elements that would not relate to God with genuine faith like Abraham – were broken off due to their unbelief. The tree itself (believing Israel, starting with Abraham, and represented most fully in the Person of Christ Himself) remains because we Gentiles (comprising of the “wild olive tree”) are grafted into it. Nor does this verse teach the loss of salvation because the criterion stipulates that only those branches that don’t abide by faith are broken off and not spared. There are those that profess belief, who are in the midst of the church, and seem to be saved but are not. It shall be revealed who has genuine faith and who does not, ultimately on the Last Day when judgment arrives at the behest of the “judge of the whole earth”. Spiritual fruit is something that indicates spiritual life, and yet even here there are ‘seasons of the soul’ such as a time of plowing and of planting, a time of harvest and a time of rest - spiritual fruit is not always apparent. The spiritual life of the believer results from the spiritual life of the LORD for He indeed is the Vine, and we are the branches (JOHN 15:1-8) and as we abide in Him (a characteristic that only the saved possess, that is, to abide and remain abiding) we will be the bearers of spiritual fruit. For more on the issue of the eternal security of the believer, please obtain a copy of William MacDonald’s excellent book, Once In Christ, In Christ Forever. There is a strong probability that I will produce a review of this treatment of the doctrine of eternal security on FROM the MIND of FIRE (FMF). For a sample of Mr. MacDonald’s teaching feel free to watch this series, beginning with this one on The Local Church. Before we move on, let me say that this is a biblical truth that has been brutally abused by many professing Christians, who believe that once they have dedicated their lives to the LORD in salvation, or once it’s perceived that they are “of the elect” that they are then free to live life as they choose (carnal, fleshly, unspiritual, unproductive) without risking their salvation. For me, ‘risking’ is not at all the issue, but rather the inability of such professors to actually prove that they were genuinely saved in the first place. No true believer need worry about ‘risking their salvation’ but we ought to examine ourselves (2 COR 13:4–7) and see if we really are “in the faith” and to do so means to review the foundation of our salvation (2 PET 1:9-11) is it really based on faith alone in the grace of God alone, in Christ alone and the fruit of the Spirit which will (super)-naturally result from such faith. In these two extremely and seemingly divergent attributes of God’s severity and His goodness we might find contradiction, but only if one fails to consider the Person of the LORD Jesus Christ, the Holy Vessel of all the grace of God (1 PET 5:9-11; ROM 5:17-21) by Whom His goodness and severity is revealed. Should a person by faith receive Christ Jesus as LORD and SAVIOR, they shall experience God’s goodness in every capacity; should such a person not receive Him, then nothing but severity can be expected. Grace and truth come by Jesus Christ (JOHN 1:17) and any who call upon His name in truth (PSALM 145:18; ROM 10:13) can expect the grace of God. Those who reject such, will face God’s judgment according to truth, but in the absence of grace (JOHN 5:22; PSALM 96:13; ACTS 17:31). Goodness vs. severity! I believe that the continuance of the saint in the goodness and grace of God reveals genuine salvation and this holy work has enough evidence that such a person may know with entire veracity that they possess eternal life and have such assurance by faith (1 JOHN 5:12-13; HEB 6:9-15; 10:22-23). Here we see that even those of “the olive tree” that is, of the progeny of Israel come to faith and “abide not still in unbelief” these also shall be grafted in! There is not a single soul that has ever been saved, that has done so apart from faith. No one can boast of any work accomplished in themselves that can prove worthy of the righteousness of God. So, only believing in God and trusting Him in the Person of Jesus Christ is required – such is the simplicity of the Gospel of Jesus Christ our LORD (ROM 10:2-4)! This text shows that it’s possible for God to “graft” the natural branches back in, and soon we will read how this is not merely a possibility but a promise by God (See also EPH 2)! We have here a “mystery” that is, musterion in the Greek, meaning a truth formerly hidden but now revealed to those of the faith. The truth spoken here is that this blindness on the part of Israel is something that was anticipated by God the Son! “…blindness in part is happened to Israel until…” This blindness is in part, albeit a majority part (because there are those of the remnant of Israel that have indeed placed their faith in the Messiah), but it will one day come to an end when “the fullness of the Gentiles [has come]”. This “fullness” was spoken of in ACTS 15 at the Council of Jerusalem, when the elder James (half-brother of our LORD) spoke of how God would "call out a people [not Israel, but Gentiles] for His name (vs. 14)" after which He would once again rebuild the “tabernacle of David” that is, the restoration of the government of Israel under His own rule. We have already seen in various passages how that the Gentiles would come to [His] light (ISAIAH 60:3) and how further revelation was given to Paul that the Gentiles would become a new entity along with believing Jews known as the body of Christ, the church (EPH 2:11-22; 3:1-6). This is why we believe that once the church, the body of Christ is completed [in "fullness"], we (both the living and the dead in Christ) shall en masse be raptured out of this world, and at such time, Israel’s eyes – the remnant only at first – will be opened, and ultimately “all Israel will be saved” when the Messiah presents Himself (for the second time) to her at His Second Coming (ZECH 12:9-14; 13:6; ISAIAH 63:1-3). The ungodly condition of Israel in which she exists (for the most part) today will be turned away by the Messiah and He will restore her to right standing with Him by “taking away their sins”. Documentation in Scripture is abundant in regards to the Jewish opposition of the Gospel; Paul contended tirelessly against equally tireless Jews and ‘Judaizers’ that wanted either to be rid of such a sect as these ‘Christians’ or to place such under the Law. Even so, these that are adversarial to us who are Christians, and likewise opposed to the Gospel ought to be prayed for and loved just as we’ve been instructed by our LORD – to pray for our enemies, bless those that curse us, etc (MATT 5:44; ROM 12:14). God’s gifts and calling of Israel will not ever change; He intends on completing that good work He has started in that nation, beginning with Abraham, Isaac and Jacob just as He intends on completing that good work He began in us, His church (PHIL 1:6). The Hebrew word used here for “repented” is nacham, and is used in reference to God elsewhere in the Scriptures such as EXOD 32:14; JER 18:8-10; JONAH 3:10 and JOEL 2:13; it doesn’t mean to repent of sin committed as is commonly appropriate for us sinners, but where God is concerned, it means simply rather “to sigh, , to be sorry, to pity, to exert strength to change, to re-grasp the situation, and for the situation to take a different course of purpose and action”. God cannot repent of sin because He is holy and without sin (1 SAM 15:29). In our text in Romans, this idea of “without repentance” on God’s part, simply means that He will not be sorry for His choosing of Israel, nor exert any effort to take a different course” in His “purpose and action” towards Israel and the promises He has made with them by covenant. It appears that there is a mutual relationship of reciprocity between Israel and Gentiles where God’s purposes and plans are concerned; that is, during the time in which Israel was walking in righteousness, being obedient to the Word of the LORD, it was the Gentiles who walked in darkness (ISAIAH 42:6-7), but once Israel failed to recognize the “time of her visitation” by the Messiah, “blindness in part” has happened to her, but that the Gentiles should come to the Light of the LORD and receive the opportunity for salvation (as represented in the church) as a result of Israel’s fall is apparent. The inscrutable nature of God, the mystery of His wisdom, judgment and knowledge are indeed beyond the mind of mere man to discover; our finite minds cannot fathom the infinite mind of the LORD – thus it becomes foolishness for any who would seek to be His counselor (though how many times I have tried, in times of prayer to do so!). Likewise who could possibly claim to give to God something He would esteem of value and thus in debt the LORD to recompense us for such? Just as the LORD has been faithful in “calling out a people for His Name” and revealing to us Gentiles His grace and salvation, so He will be faithful to Israel and remove her blindness so that she too may receive the revelation of Jesus Christ (1 COR 2:1-2) and the blessing of those covenants which the LORD established, and from which He will not repent! This concludes this chapter, and the trilogy (Chapters 9–11) of Paul’s treatment of the nation of Israel, the church and the grace of God respectively between the two. Next is chapter 12 where we shift from some of the doctrinal instructions from the apostle, to the practical application and how we ought to conduct our lives in truth, as a result of receiving the truth represented in the Word of God. For now, let me leave you with these two great passages that reveal the LORD’s faithfulness by covenant with David and Israel, the people of God.